Item Number: 170-3-06 17787 Actual Weight: 0.1 lb. An inexpensive way to increase security. 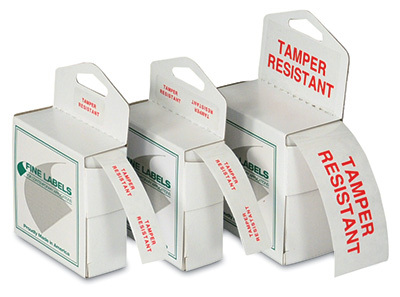 “Tamper Resistant” is printed in red ink for high visibility. Tamper-evident labels break apart if an attempt is made to remove in one piece. Good for use on product boxes, bottles, shipping containers, envelopes, and anything requiring extra security.